If we’re not growing we are staying the same – so I will welcome the change and stretch myself day-to-day – we’re entitled to change because We Grow. With all of the controversial discussions surrounding the new Chevy Volt as of late, Chevrolet has fired back with a national “Just the Facts” television campaign that simply aims to educate those with a resistance toward the innovative electric vehicle. Providing the elegant soundtrack to the informational retort is Portland-based recording artist, Tyler Stenson, and his original song, We Grow. Within the 30-second TV spot by Chevrolet the viewer receives the basic facts about the new Chevy Volt in a clear and concise manner. However, nestled softly in the background and easing the otherwise info-heavy sequence is a pleasantly original composition by Tyler Stenson, a prolific recording artist that has been twice-named “Songwriter of the Year” by the Portland Songwriters Association and “Best Male Artist” at the 2011 Portland Music Awards. It’s a rare occurrence for an artist and an automobile manufacturer to be on the same page but with Chevy’s desire to make a more earth conscience vehicle and Stenson’s Western affinity for a simpler time, the two were able to come together to deliver a universal message of progress. 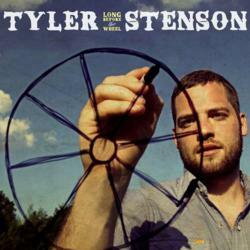 Tyler Stenson is a singer/songwriter in Portland, OR that is increasingly known for his unique brand of elegant folk music. Along with spending nearly two years as a singer/songwriter in Nashville, he has been twice-named the “Songwriter of the Year” by the Portland Songwriters Association, “Best Male Artist” at the 2011 Portland Music Awards, was nominated for the Wyoming Governor’s Art Award, has opened for Chris Isaak and LeRoy Bell, has performed on OPB’s Live Wire! Radio and has 10 studio albums being distributed internationally. For more information on Stenson and his special music please visit his website (http://www.tylerstenson.com) or attend his next Portland concert at the Alberta Rose Theatre on March 11, 2012, an all-ages “Sunday Matinee” with special guest Justin Hopkins from NBC’s The Voice.